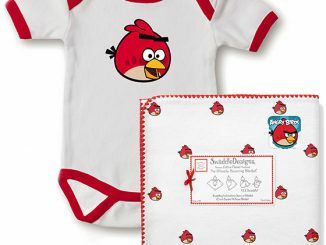 Angry Birds are not just angry, but they are also unstoppable when it comes to merchandise. 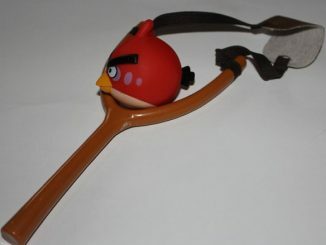 The latest Angry Birds merchandise we have to show you are these Angry Birds Ball Point Sling Shot Pens – Set of 4. They not only write, but they can launch things at other people. The potential is there at least. The bird won’t actually shoot. It just looks like it could be launched. 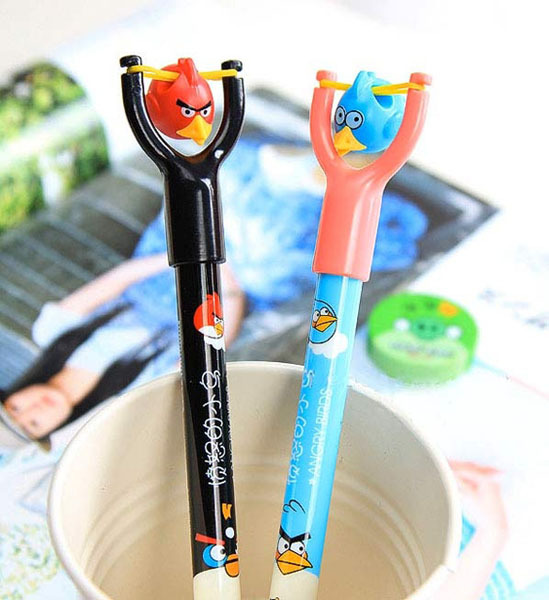 If you still can’t get enough of Angry Birds, then you will want to get this set of pens. Set of four ball-pointed pens included. Pens are unpackaged loose items. Easy to refill with refill replacements. 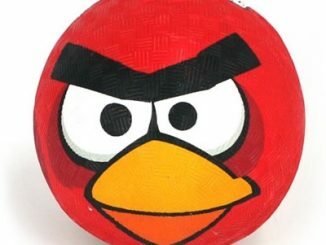 They make a great gift for the Angry Birds fan who has everything else. 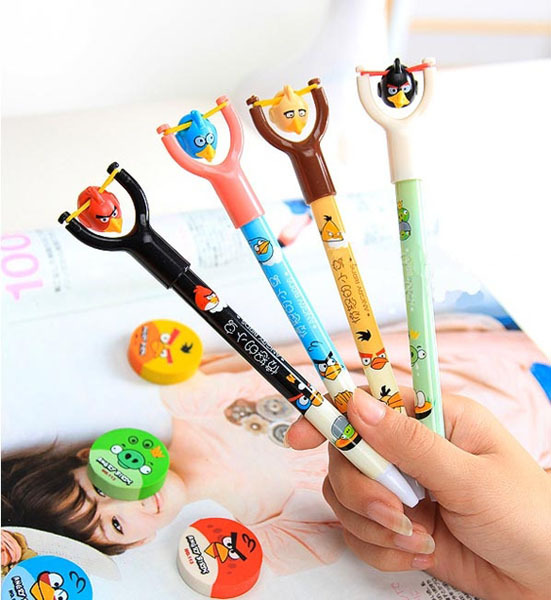 Just $2.29 from Amazon.com and $4.95 each at Coolpencilcase.com.